It is incredibly crucial to secure Windows VPS hosting. If you don’t keep it secure, it is similar to having it live on any public network. Many people overlook this significant step, which could significantly threaten the sensitive data on your computer. When you purchase the hosting and receive all the necessary details, taking care of the security should be your next move. In order to help you deal with this aspect, we are going to discuss some of the steps you must follow to keep the VPS hosting secure. All the steps are straightforward to understand and follow. Every individual using a Windows PS hosting must use to secure the web server. If you do not want your server to be hacked by others, you must follow the guide judiciously. Many people trust the Cloud Provider to manage the security, but it shouldn’t be the case because the admin is responsible for keeping the Cloud server secure. You need to be aware of the different open ports. It is also better to learn the ways of unblocking and blocking an IP. When you look at data security, these are some basics every person must know. If somebody is trying you use brute force to attack you, you will be able to block it immediately. After you set up a Windows VPS, you need to have all the latest downloads and updates for the server that will help with better performance. Having current and updated software is very necessary. If your OS is old, you will be an easy target. If you aren’t familiar with the updates, you can contact your provider to gain more information. 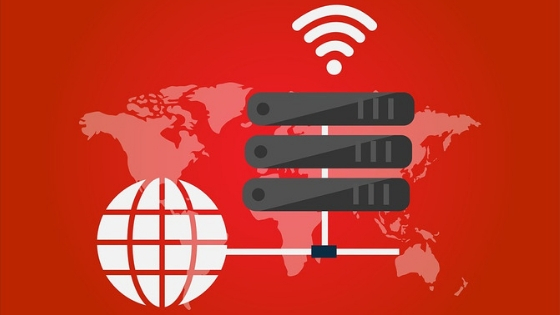 There may be many options available, but having a free SSL Certification could be one of the steps you can keep in mind for Windows VPS hosting. TLS/SSL encryption on the database ports will be very crucial for remote connections. The certificate also authenticates Windows VPS. The certification can help in server authentication in order to encrypt the data shared between the client and the server. The risk of interception is reduced through the encryption of the data. Providing public internet access could be beneficial for the business. However, it also increases the chances of intrusion and hacking attempt. Having a VPN tunnel that could prevent usage by outsiders using 128-bit encryption keys can be quite useful. Having an intrusion detection system (IDS), something quite similar to a burglar alarm can help you protect your server tremendously. All the files that were changed will be recorded. You will also receive alters on the files that have been altered. Many times hackers try to replace the binary applications. With this system at the place, you will be able to save your server in case of any threat. It is best to go through the different IDS available in the market for Windows VPS. A bastion host also referred to like a particular purpose computer that is designed to withstand attacks, could be useful for preventing direct access from any public network for minimising penetration. The specific computer will mostly host one application so that no other services or sources can increase the threat to the computer. It will usually involve gaining access from an untrusted network or computer. As there have been significant improvements in storage technologies and virtualisation, it is not an easy job to clone a disk. Another significant benefit would be disaster recovery, in case of security threat. BitLocker could help in protecting the Windows VPS hosting from any sort of offline attack. It will also protect the data from malicious user boots coming from any other Operating System. For installation, it will require administrator privileges. The default ports in case of privileged services include SQL, Server and RDP Server. They can be used for breaking into the server. You can try changing the ports into custom ports to avoid such attempts. It will also be useful in securing the Remote Desktop Server or Terminal Server. Anyone who tries to connect using alternate ports will be blocked for a significant amount of time. Having a secure password is also very crucial. Do not write the password anywhere because it will significantly help in reducing the chances of getting the password seen or stolen. Don’t miss to read Best Windows Password Managers for Extra Protection. Security is a vital component that every individual need to consider when they are online. You cannot afford to risk personal data of the customers; neither can you invite intruders. Make sure that you follow these steps to protect your VPS hosting to make your online presence more safe and secure. How Network Traffic Monitoring Can Help Network Efficiency?